"The Most Hatted Man in San Francisco"; this is how today's guest identifies himself. 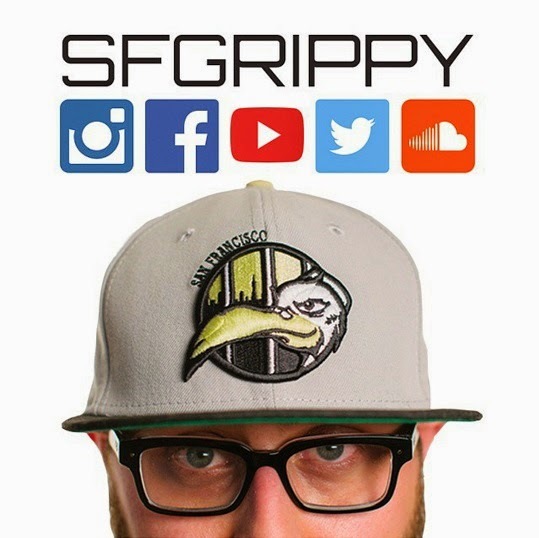 sfgrippy, as his many subscribers of the various social media platforms might recognize him, is an avid New Era Cap collector and passionate fan of his local San Francisco Giants. Alex, as the rest of his friends refers to him, is also the man behind a fantastic up and coming YouTube Channel, named after the "sfgrippy" alias, where he chronicles his favorite fitteds and fashions in how he chooses to wear them. Now, join us on a journey into the man with the "Halfface". TFD: What is your name and where are you from? TFD: Now that everyone understands the basis of the "sf" in your social media handle, how would you describe your relationship to the Bay Area and its sports teams? AM: Ha! 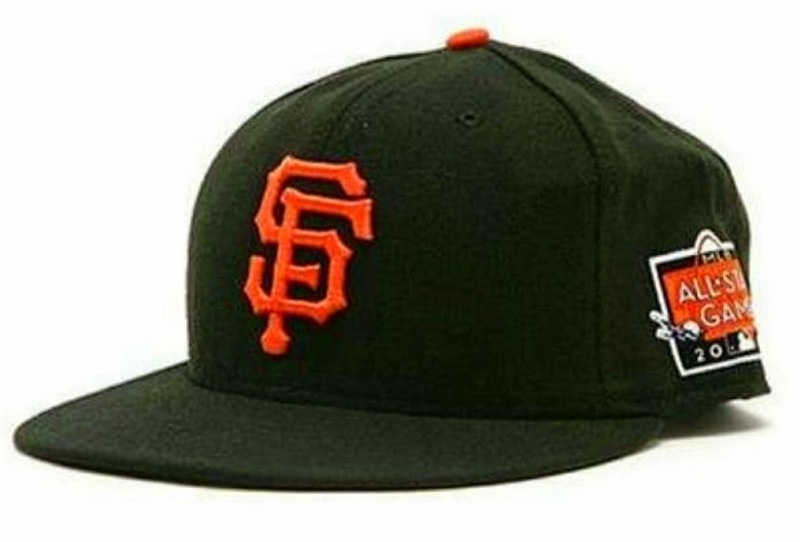 Well, I am a huge baseball fan, so the San Francisco Giants are my team and have been for as long as I can remember. 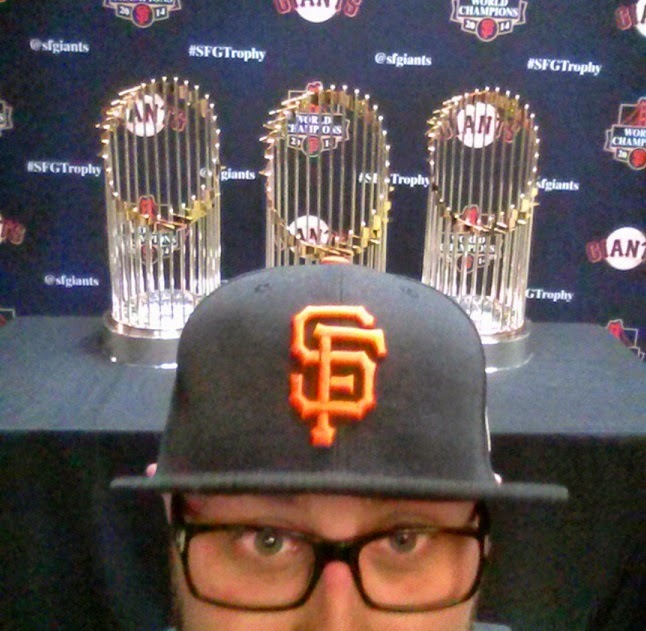 I also worked at AT&T Park (from '01-'03) before moving away for college; I was a Visiting Clubhouse Attendant. It was the most fun job I've ever had. I met so many players and got to see a lot of the behind the scene stuff before and after the games. Ken Griffey Jr. made fun of my hair; I'll never forget that. I was never interested as a kid but I got into football about eight years ago, so of course, at the time I was going to root for the 49ers. Even at the time, when they were just awful. I'll root for the Warriors but never really liked basketball; however, they are moving to San Francisco in a few years and their new stadium will only be about a mile away from where I live. Games and concerts will be great, since I never have to drive or pay for parking! As for the Raiders and Sharks, the Sharks are fun but the Raiders I do not care for. Oh, and Stanford over Cal, for college sports. TFD: What would you say is your favorite sport to watch, either on person or on Television? AM: Baseball for sure on T.V. and is person. We have been lucky here since AT&T Park was built; it is the jewel of Mission Bay. The Atmosphere in that area is awesome. It isn't just a baseball game, it's a whole event. Take a train or walk, hit up Safeway for a 40oz, walk to Seal's Plaza and drink it on the pier, where the cops can't tell you to stop. Then, get into the game and get your chicken strips and garlic fries, with an $11 beer; stand or sit, whatever you want. I actually hate sitting at games, so you'll find me in the arcade section (right field) at every game. S.R.O. (Standing Room Only) loyal! 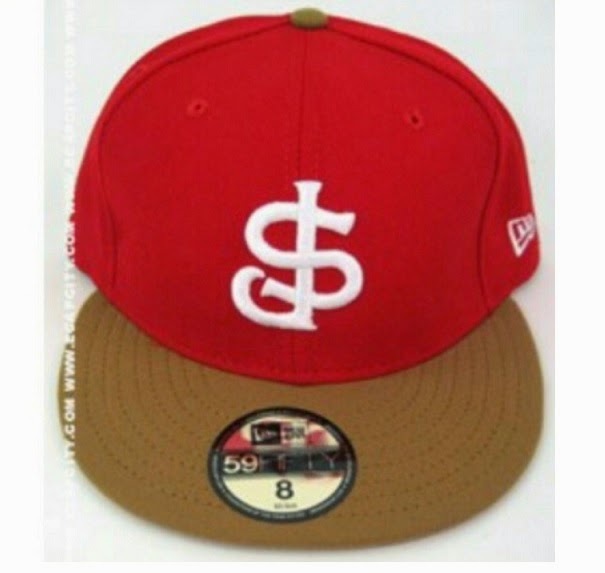 TFD: Would you say sports have influenced your obvious love for the fitted cap culture? AM: Definitely. I played baseball for fifteen years, from age five to twenty; you rarely saw me without a hat. The best was when I started playing on a team that used fitted hats. It was like hitting the jackpot! TFD: What was your first fitted cap? 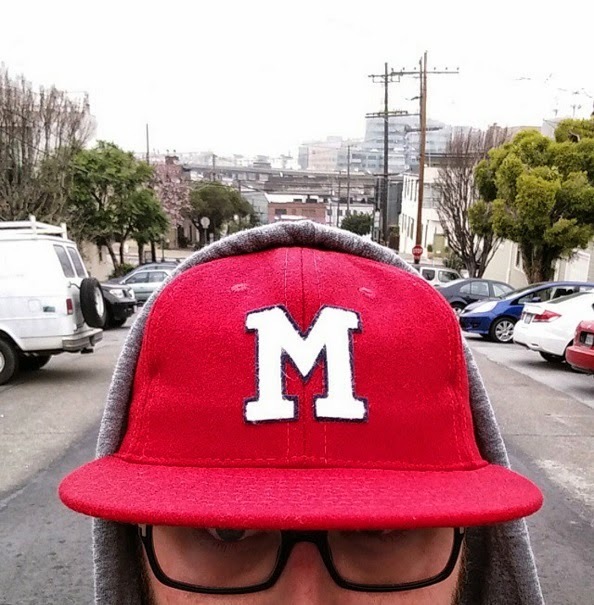 AM: My first fitted cap was a San Francisco Giants cap that my dad bought me when I was a kid. I can't remember the year though. We went to Oshman's Sporting goods, in Millbrae, California. I remember looking at hats there and picking one up. I also remember my dad complaining about the cost; but when did he not? Haha. I kid, but that always stuck out to me. TFD: Was it a gradually growing collection or did it take off like a wild fire? AM: Gradually, for sure. In fact, I always just bought hats. I never thought of it as collecting, as I was just a hat buyer/receiver. Most of the hats I bought/received, when I was young, I used for baseball and everyday wear and are now in bad shape. A few I even tossed, because they were covered in mold; my closet was damp, in college. It ruined a lot of items. I feel I bought a lot more after finding about the large community that is out there. It's like when you find something you enjoy you kind of go overboard. Currently, I'm at a comfortable place with the collection. TFD: How large is your fitted collection currently? AM: I haven't counted since last July, but I think I'm pushing 170. The quantity isn't doing it much for me. I could have 300 hats, but that wouldn't be impressive if they weren't rare, dead stock, foreign or something special. The type of fitted and quality of them is what I focus on now. Plus, I live in San Francisco, so if you read Bloomberg and such, you know most of my money goes to my house! TFD: Would you say you have a favorite? AM: It's hard to say. I do have "favorite fitteds", ones that I wear more often than others, but then I also have favorites that I don't wear as much. I think my definite favorite, though, is my San Francisco Jailbirds cap. This was a cap that my buddy Len (@elkodesign) designed and we worked on together to manufacture and push to the public. We built a friendship off of this hat, too, which was pretty cool. We've tossed around ideas of creating other caps and have some things in the works. TFD: As of late November of 2014, you had started a YouTube channel, featuring video-shorts. What was the inspiration for the project? AM: This was about a year in the making. Working with a friend of mine, who is a producer in the Bay Area, we came up with a concept and ran with it. I noticed there aren't many hat videos out there on YouTube, so I wanted to bring some quality; that is what I believe I may have accomplished. More will be coming. Starting in March we will see a steadier stream of videos. Just search "sfgrippy" and you will find me. Stay tuned! TFD: That is great news. I think many collectors would appreciate a more frequent schedule of videos, as the material is very good. Given the time-consuming events of everyday life, do you have any plans to make it a more consistent upload schedule? AM: I do want to upload more consistently. I can make time work, but there are other costs to the videos. I have been working on finding sponsorships for videos, and actually my first sponsorship will be revealed later this month. The material is currently being sent out to me and I should have it soon. I am very proud of this achievement and can't wait to reveal it to the hat community, other fashion outlets, etc. It's a slow process to build, like a hat collection; nor does it jump off right away either, as I am still working or growing my brand. With everybody's help I can get there faster. Share, like and subscribe! TFD: Where is your favorite place to shop for fitted caps (either local or online)? 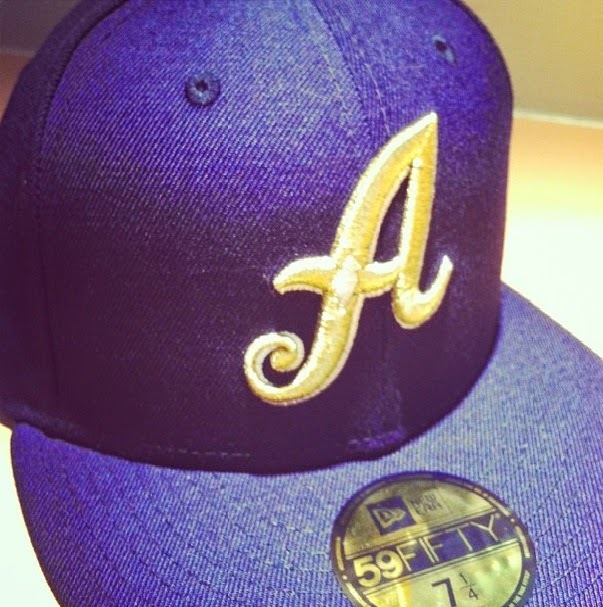 AM: Local: Hat Club at the Serramonte Mall and the New Era store in downtown San Francisco. Those two mainly. I can spend hours at those stores talking to the people that work there. I find those stores have the most knowledgeable men and women in any hat shop. They're 10/10; highly recommended. Online: Ebbets Field Flannels (http://www.ebbets.com/), since they aren't sold anywhere locally. TFD: Are there any "holy grail" caps that you can't seem to grab a hold of, that some of our readers might be able to help you find? This came around at a time when I was just flat broke, just out of college. Now, I'm trying to locate it is very hard, since they don't come around on eBay often. Someone will hook it up. I know it! This was a Cap City release years ago. I've contacted them on numerous occasions to try to have it remade, but I think there are other reasons why they might not able to. I'm not sure. 3.) Twiztid x Mishka Keep Watch cap. Their second version with the green eyeball. I ordered it the first day it came out, when it actually sold out. It was delivered by the mailman, put in plain view, and someone actually stole it from my front yard. The second time I tried to get it on eBay, but I must have just updated the app on my phone, and I didn't get the notification saying the auction was ending. When I went to check on it, I had missed the end of the auction by a mere three minutes. I'm not a fan of the Aces, really, but they won the "Triple-A" championship. In 2013, they played their ring ceremony game in their home hats, but instead of a white "A", it was a gold "A". It was just a sick hat. Plus, my name starts with an "A", so it would be cool to wear. It was so rare, that I could only find two pictures of it. TFD: How would you describe the "fitted culture" in the Bay Area? AM: Broad. There are the collectors you know about from Instagram, Facebook and YouTube, who all connect and such, but then you have the collectors that don't post at all, anywhere. I have a really good friend who has about 150 or more hats, all fitteds, all Giants and 49ers ONLY. Most of those are in red and black, as well. The ones you know about from the Bay Area are all connected in one way or another and help each other out. Some work for hat shops and can help you out when you need a size. We all have our ways of contacting each other, too; we're all willing to help out. TFD: What's your favorite part of the fitted community, as a whole from your perspective? AM: That's a good question. I have collected a lot of different things in the past, but nothing that compares to this. People get killed over shoes; the fitted community isn't like that. If there is a drop, then someone anywhere in the WORLD will offer their help; that's pretty cool. Plus, have you ever hear the phrase "It's hard to make friends as you get older"? Well, not in this community. Everybody is cool as hell and you learn about each other's lives. I've been to their houses! They've been in my car! We've drank beers and eaten burritos together! That's a trip, to me. TFD: If our readers would like to follow you, via the multiple social media platforms of the world, where can they find you? AM: You can find me anywhere as "sfgrippy". You know you want to; sometimes I'm even funny. Just type in "@sfgrippy" or "sfgrippy" on any of the main sites, and I'll be there; I'm even on reddit! Thank you again to Alex, who provided an awesome look into his own life and the Bay Area fitted culture. We all look forward to his next post and many more to follow. Thank you sfgrippy!